Northwestern defeated a feisty Valparaiso team 4-1 Saturday to advance a round of 32 NCAA Tournament matchup with Stanford. 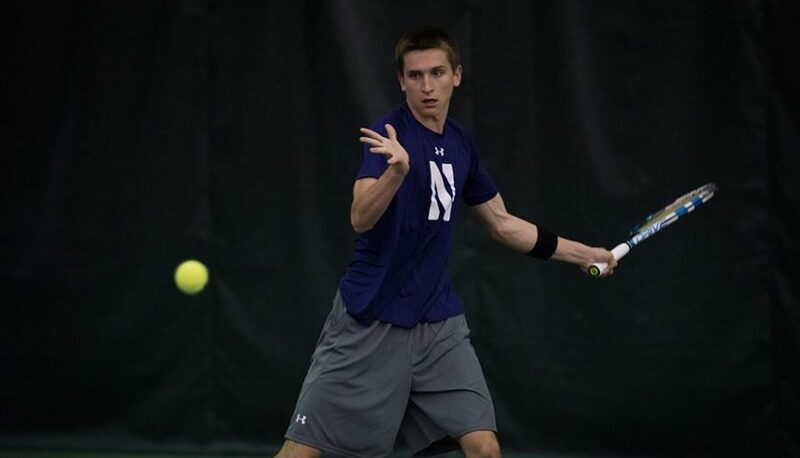 The match began well for NU when it won the doubles point with victories at No. 2 and No. 3 doubles. This has become a trend for the Cats as juniors Konrad Zieba and Sam Shropshire and junior Alp Horoz and senior Mihir Kumar have winning streak of four and six matches, respectively. NU got off to a strong start in singles when they won 5-of-6 first sets. Shropshire quickly took care of business and won 6-3, 6-2 to give the Cats a 2-0 lead. Senior Fedor Baev got off to a shaky start in his match, but even after he regained his form in the second set, his opponent’s excellent serving was too much and caused Baev to fall 6-2, 7-5. After cruising in the first set, Kirchheimer found himself down 5-3 in the second and forced to break serve to avoid a third set. After doing so, he reeled off four straight games to win the match, his 13th in a row. Two of the three remaining matches went to third sets and freshman Ben Vandixhorn secured the final point with a 6-3, 3-6, 6-3 victory. On Sunday, the Cats will host No. 29 Stanford with their first berth in the round of 16 since 1997 on the line.